Surging time spent on mobile devices and increasing expectations by the guests for digital interactions suggest that the hotels that engage with their guests on their mobile apps can make significant improvements in their guest experience and satisfaction. With a brand new way to engage with your guests on mobile devices, you can offer much more. Hence, you need a mobile app that your guests will actually like to, and even love to use. Save your guests time by offering express check-in and check-out on your mobile app and increase your guest satisfaction. Mark Vondrasek, Starwood's global head of loyalty program and digital initiatives: "Guests want mobile check-in/out because it makes their lives simpler. The ability to go right to your room, gives them back time." With mobile check-in/out, you will never have this view at your hotel. 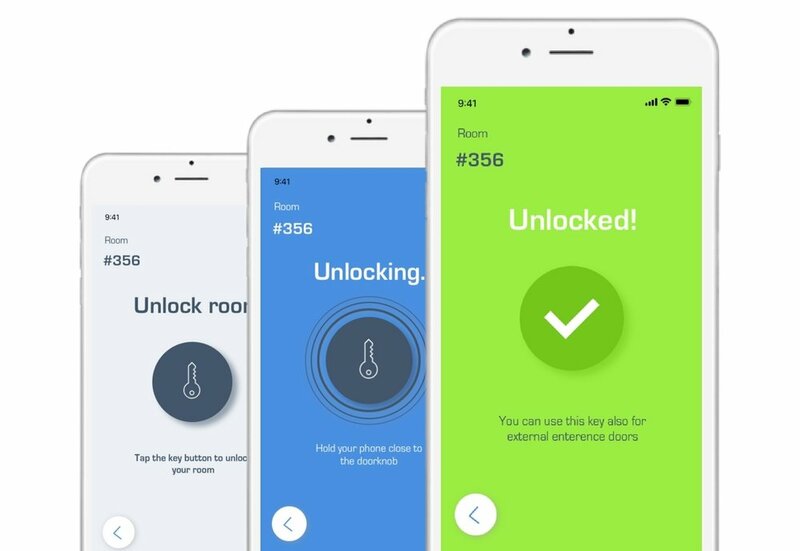 Let your guests enjoy using a mobile key or in other words a keyless experience so that they don't have to carry and take care of a tangible key anymore. Starwood's CEO Frits van Paasschen: "Digital keys will become the new standard for how people will want to enter a room." When integrated with the hotel’s booking system, guest requests can be managed with forms, making it possible for hotel staff to get requests automatically and have charges applied directly to the guest account. 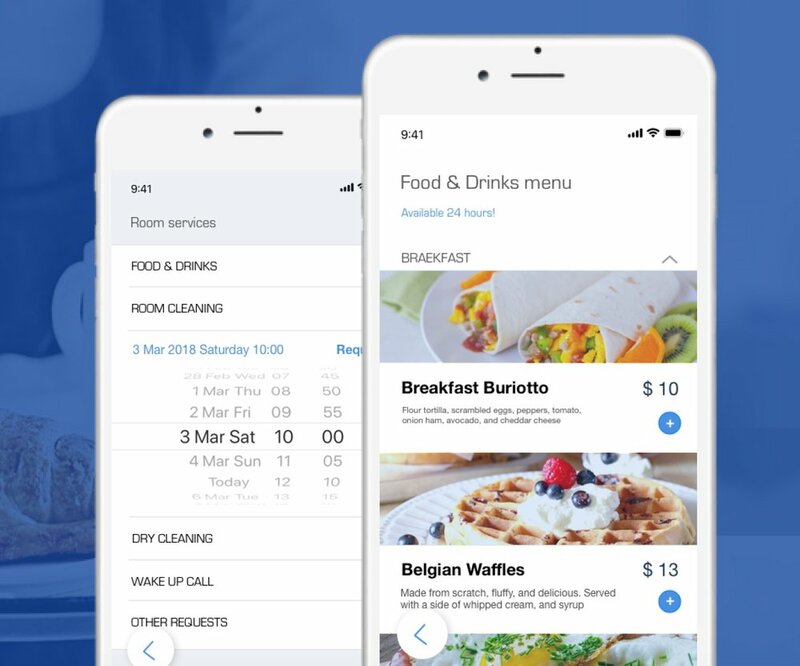 Many people opt for travel booking apps because of deals, however, your hotel can get a slice of the action by offering exclusive deals to your members within your app, sending out push notifications and then making it easier for them to benefit booking rooms or services directly from your own booking system.